Flipping the upcoming LG G3 in landscape mode invokes Landscape UX a specially designed user interface that makes use of the extra screen estate on the phone. 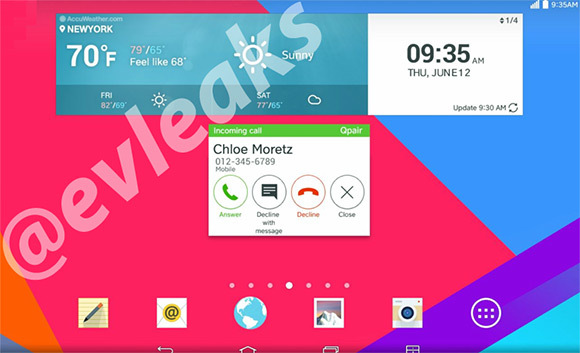 @evleaks shared a screenshot of it earlier today. Anyway, the screenshot is inline with the latest Optimus UI look and feel. There are flat icons all over and everything is cleaner than before. You will also notice a fourth software button added on the bottom. It's a shortcut to toggle the notification shade and is also available on a number of previous LG smartphones and tablets. 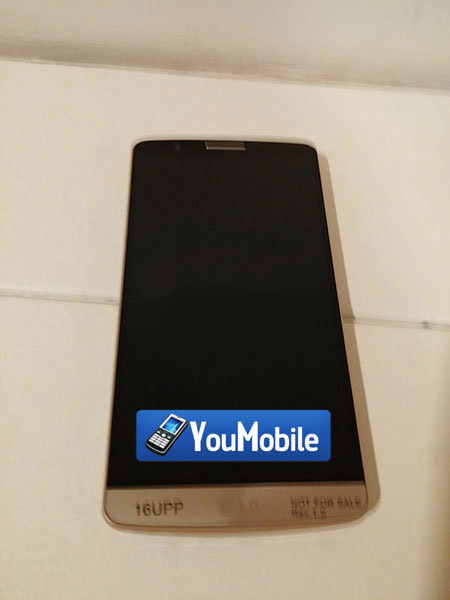 Another day, another leaked LG G3 photo... A New Photo shows the back panel of the upcoming LG G3 flagship has been leaked today, The picture quality is very good, better than usual blurry photos. It shows the G3 Back panel in two colors White & Black. As you can see the Back panel of the G3 has a Brushed Effect similar to what you can see in the HTC One devices, the white one seems to be very bright, the black G3 is dark but has a glowing effect in the light. LG took a step further in designing this smartphone with an almost-all metal body and glass-front panel. 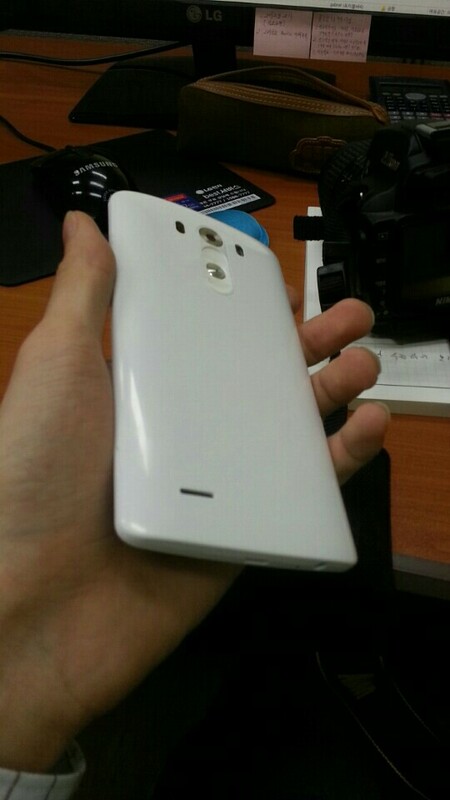 LG G3 will pack a 5.5-inch QHD display with 3GB Ram and expected to be announced very soon during this month. Check the LG G3 Full Specifications HERE. 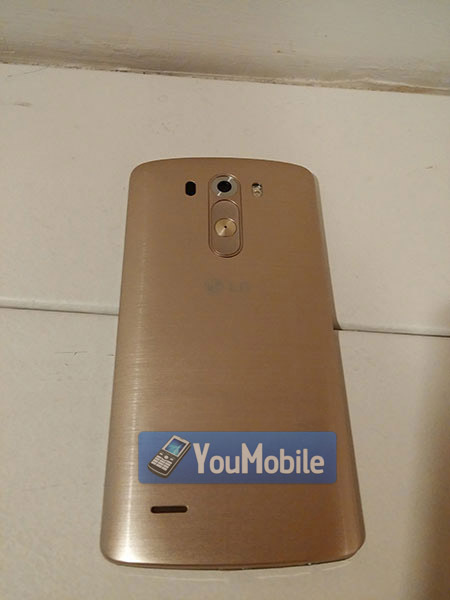 Today, We got some Exclusive Photos of the upcoming LG flagship smartphone, LG G3 in Gold. The Gold color covers the whole back panel, along with the sides two (seems like a unibody). In the front we have a Gold phone speaker in the top and a gold space in the bottom. The Display bezel seems to be all in black. As for the camera, its 13MP with an LED flash (right) and laser beam (left) that is intended to help the camera produce better night shots. We don't know if this is based on infrared technology and how exactly it is going to work on the G3. 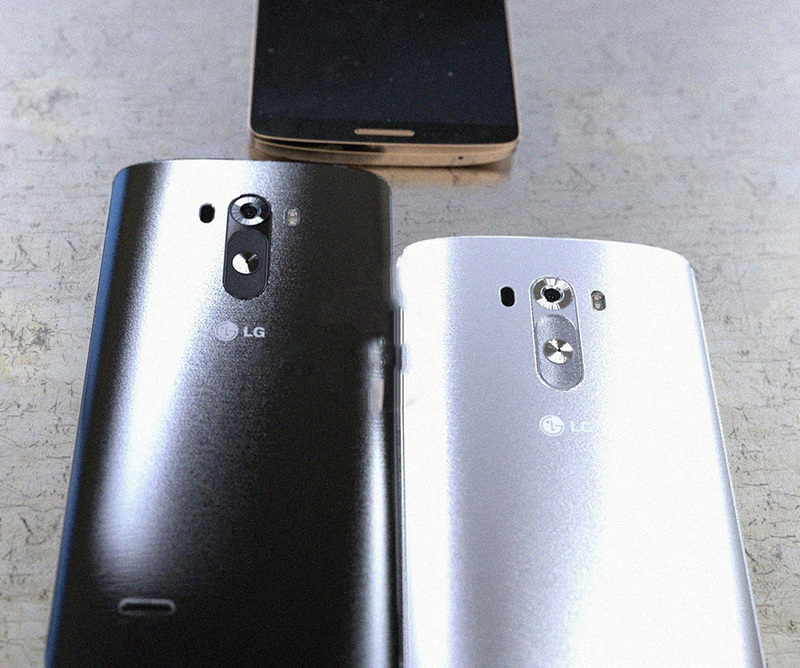 LG G3 is powered by Snapdragon 801 chipset with 3GB RAM. Internal memory is 32GB with microSDXC Support, while the battery has 3,000mAh capacity. The phone is rumored to have a water-resistance rating of IPX7, Check the Full LG G3 Specifications HERE. Finally, the highly-anticipated LG flagship smartphone, LG G3 has finally been leaked on the internet in a set of clear, high-res pictures. 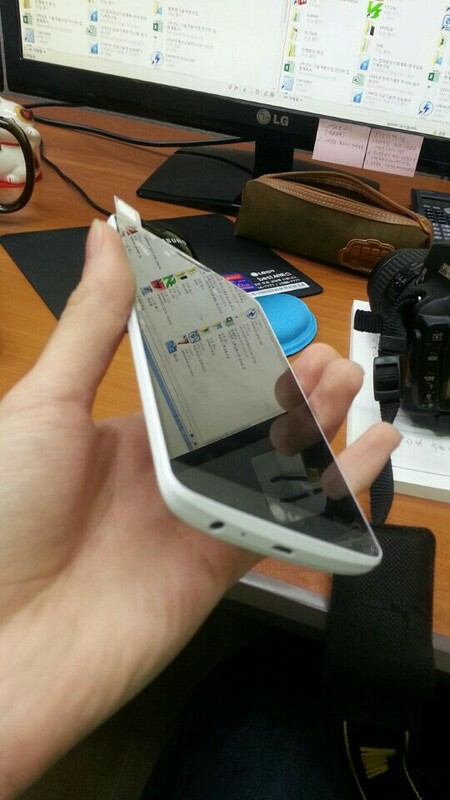 These come straight from a Korean website and expose the G3's front, back, and bottom sides. 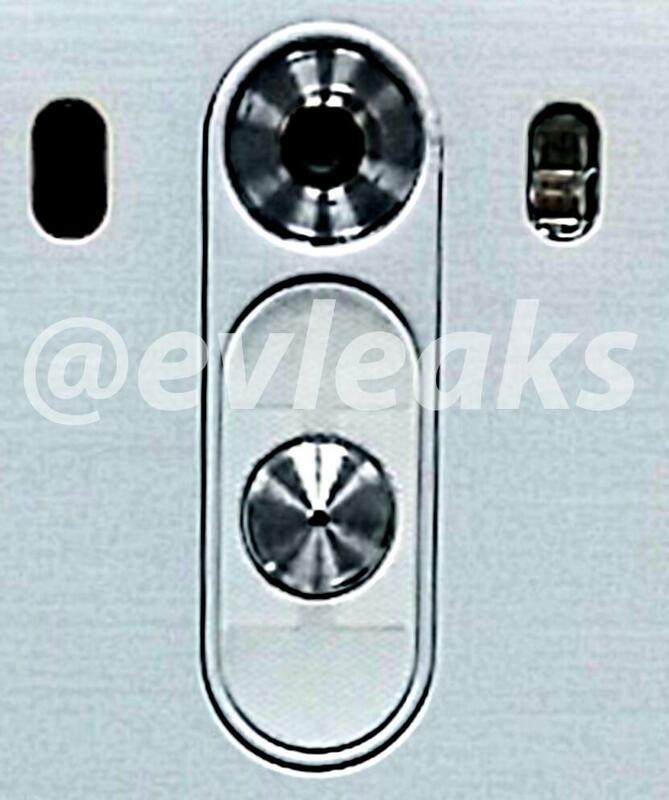 LG is expected to announce the LG G3 at an official event scheduled for May,27th. LG G3 showed its back yet again. The new alleged image of the device made the rounds on Twitter, the photo leaked from an @evleaks tweet. The latest leaked photo falls right in line with the previous leaks. It showcases the 3-button setup on the back of the device, its camera unit with dual-LED flash, as well as that mysterious sensor on the left side of the camera, whose purpose is yet to be revealed, but it's doesn't look like a fingerprint sensor nor a depth sensor either. Let's wait for the next leak.